Kelly Comras, FASLA, RLA, is a licensed landscape architect and a member of the State Bar of California. Comras was the first staff landscape architect for the National Park Service in the Santa Monica Mountains National Recreation Area. While there, she developed an intense interest in park design and public land use that has continued to influence her work; she taught park planning and design at UCLA, receiving multiple awards for her project-based courses, and won a national ASLA award for her landscape design for Franklin Canyon. Comras opened her private practice, Kelly Comras Landscape Architecture, in 1986. Comras' present landscape architectural practice focuses on community-based open space design, and research and publication in the field of cultural landscape. In this area of her practice, Comras brings together stakeholders to achieve a common goal that relates to the study or use of land. The projects in which she participates encompass both public and private landscapes and are generally community-wide in scope. Stakeholders include businesses, non-profit and charitable organizations, educational institutions, community volunteer organizations, elected officials and their constituents, public administrators (city, county, state, and national), and historical groups who collaborate with landscape architects, architects, engineers and other professional designers. Her projects have included collaboration on a National Endowment for the Arts grant-funded study of historic gardens for the City of Pasadena; The Stairways of Castellammare, a study funded by the J. Paul Getty Trust; and a dune restoration project at Will Rogers State Beach. Comras also conducts research, publishes, and lectures on topics relating to mid-century landscape design. She is a Founding Member of the Stewardship Council for The Cultural Landscape Foundation, and Past-President of the California Garden & Landscape History Society (CGLHS). Comras also served for seven years as CGLHS Editorial Chair for the quarterly journal, Eden. 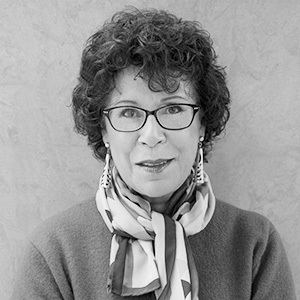 She has lectured at such institutions as Harvard Graduate School of Design, Indianapolis Museum of Art, Library of American Landscape History, UCLA, Society of Architectural Historians, California Preservation Foundation, and others. Her most recent book, Ruth Shellhorn, was published by University of Georgia Press / Library of American Landscape History in 2016; a companion documentary was released in 2015. Comras has received numerous awards for her landscape architectural designs, community work, and research and publications. These include recognition from both the national organization and the Southern California Chapter of ASLA, the Landscape Architectural Foundation, and the California Council of Landscape Architects. She has also served as Vice President for her chapter and publishes in Landscape Architecture Magazine.